This peak has the classic hay-stack shape which is typical of mountains whose names begin with cruach. Márthain / Marhin is the name of a townland and a parish. 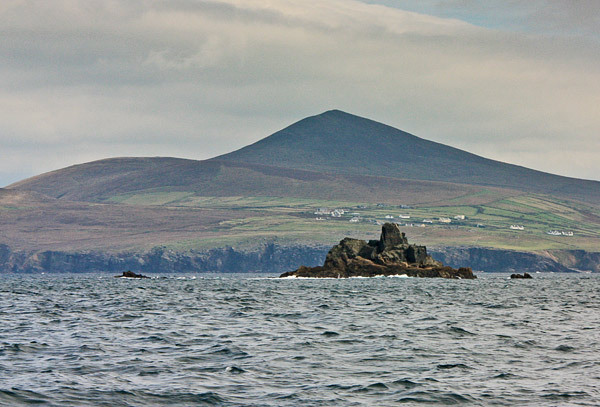 Cruach Mhárthain is the second highest hill in the Dingle West area and the 928th highest in Ireland. Triangular shape dominating the local sklyline.